Watch Season 2 on Sling. Sign up and get Sony Entertainment Television. Meet the Drapers is the first reality show where you get to invest in startups, betting on the future big winners. Each episode, see 3 entrepreneurs pitch their startups to the three generations of the Draper family - Bill, Tim and Jesse -experienced venture capitalists with different styles, different views, but with one goal: to help you find the next unicorn - a startup that reaches a $1B valuation. Each episode will feature a new celebrity guest - successful entrepreneurs, investors, media personas. The judges will ask the founders very difficult questions. Watch entrepreneurs pitch, and decide which company deserves your investment. invest in their break through ideas for a chance to multiply your investment if they succeed. Bill Draper started Draper & Johnson in 1962 and later founded Sutter Hill Ventures and Draper Richards. His investments include OpenTable, Athenhealth, Apollo Computer (acquired by HP), Integrated Genetics (Genzyme), Qume(I.T.T. ), Activision (Mediagenic), Xidex(Eastman Kodak), Measurex, Hybritech (Eli Lilly), and more. Tim's daughter, Jesse founded Halogen Ventures, where she has recently raised a new fund focusing on women entrepreneurs and consumer companies. 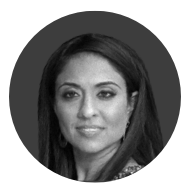 She is an early investor in Laurel & Wolf, Sugarfina, and a number of others. She is best known for her Emmy nominated show called, "The Valley Girl," in which she interviewed top entrepreneurs in technology. 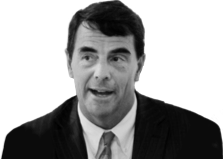 Bill's son, Tim Draper founded Draper Associates, DFJ, and the Draper Venture Network. He was an early investor in more than 30 unicorns including: Hotmail, Skype, Tesla, SpaceX, Baidu, Twitch, PTC, Robinhood, and Bitcoin. He also started Draper University of Heroes, a school dedicated to supercharging entrepreneurs. Original on every Sunday at 5:30pm and one repeat on Saturday at 10am. Original on every Sunday at 2:30pm (SGT) and one repeat on Monday at 1:30am (SGT).